While glancing at the schedule for this week’s National Critics Conference (May 25-28, 2005) at the Omni Hotel in Los Angeles, I came across the description for Elizabeth Zimmer's "Kamikaze Writing Workshop." Obviously the word "kamikaze" has shifted in tone and meaning since it first entered the American vocabulary during the last years of WWII. I doubt that Zimmer’s criticism class will make a fiery plunge into the conference hall as a final project. 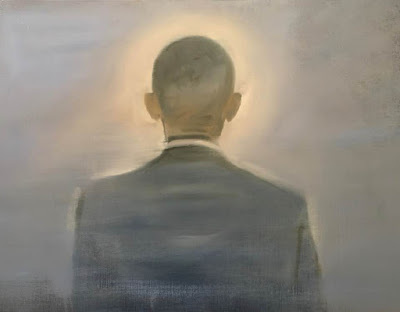 But I was reminded of the important work being done in the fields of aesthetics and history by Emiko Ohnuki – Tierney at the University of Wisconsin. Kamikaze means "divine wind" in Japanese, and originally referred to a miraculous typhoon that saved Japan from a Mongolian invasion force in the 13th century. The Japanese Navy used this term to describe their suicide attack planes. In America, the word "kamikaze" describes actions that are reckless or dangerous to the point of being suicidal. The term "kamikaze" is now applied to a wide range of situations, including terrorist suicide bombings, reckless drivers, and out of control classrooms. This free use of the word kamikaze tends to inhibit our understanding of a key question. Why did almost one thousand highly educated "student soldiers" volunteer to serve in Japan's tokkotai (kamikaze) forces near the end of World War II, even though Japan was losing the war? In “Kamikaze, Cherry Blossoms, and Nationalisms: The Militarization of Aesthetics in Japanese History” Emiko Ohnuki-Tierney shows how the Japanese state manipulated the symbol of the cherry blossom to convince young soldiers and sailors that it was their honor to "die like beautiful falling cherry petals" for the emperor. Cherry blossoms served as the primary symbol of kamikaze pilots. And their fiery descents into American fleets were likened to falling blossoms in the spring wind. The image is poignant and powerful. Young girls would line the runway and wave branches of cherry blossoms as the pilots took off on their attacks. 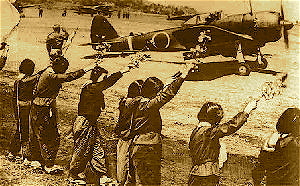 Emiko Ohnuki - Tierney reports that many former students from Japan's elite universities died as kamikaze pilots: “In October 1943, military draft deferment ended for students in liberal arts and law, although the deferment continued for students in such fields as engineering and natural sciences.” Many of these former students joined special units to carry out suicide attacks on Allied fleets. Emiko Ohnuki - Tierney estimates that one thousand student soldiers died as kamikaze pilots.